This page shows the latest lung disease news and features for those working in and with pharma, biotech and healthcare. 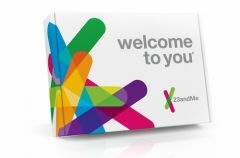 The report is the latest in a string of at home DNA testing kits, which covers a person’s likelihood of developing a range of diseases such as lung/liver disease, ... the disease,” said Anne Wojcicki, CEO and Co-Founder of 23andMe. Approximately 3 fully matching, plus 95 partially matching documents found. People with this genetically inherited disease are vulnerable to potentially deadly lung infections, and currently half the people in the UK with CF die before the age of 31. ... died from the disease who might have lived had they received the drug. It also has potential utility in treating systemic sclerosis-related Interstitial Lung Disease. ... This should reduce procedure time and stimulation-induced side effects and has utility in conditions such as Parkinson's disease and essential tremor.